On Thanksgiving Day, November 22nd, local yoga and meditation studios, their students, and all practitioners are challenged to hold the Warrior Pose for 22 seconds, and spread the word by sharing with their social networks using #VEMA, challenging their friends, and send pictures to VEMA@meghansfoundation.org for posting on meghansfoundation.org/VEMA. VEMAYOGA (Veterans Meditation and Yoga) is mindful, trauma-sensitive yoga and meditation, designed by Meghan’s Foundation, specifically for active duty service and military veterans who may be experiencing symptoms of Post-Traumatic Stress Disorder (PTSD). 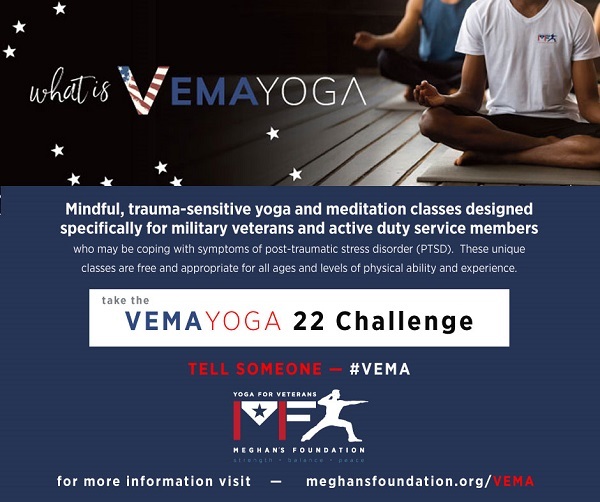 The VEMA Challenge is intended to increase awareness of VEMAYOGA and the benefits that yoga and meditation can have on the quality of life of veterans and active duty military and their families. Meghan’s Foundation is also accepting monetary donations to support the VEMAYOGA program online at www.meghansfoundation.org/donate/. “We chose November 22, Thanksgiving Day, to kick off our VEMA Challenge not only because of the significance that the number 22 holds, but because it is also a day when people are celebrating the good things in their lives. It has also become the beginning of a season of giving,” said Thom Shortt, Chairman of Meghan’s Foundation. “We think it’s the perfect time for people to remember the sacrifice our military veterans and active duty service members have given and continue to give.” We hope that everyone can pause at some point during the day to help us spread the word about the benefits of VEMAYOGA and donate whatever they can to this worthy cause,” stated Shortt. Meghan’s Foundation offers free VEMAYOGA classes to all military veterans, active duty service members, and their families at locations in Bristol, Doylestown, Hellertown, Newtown, and Philadelphia. All levels of experience and ability are welcome to attend classes. For more information about VEMAYOGA classes and a schedule, visit www.meghansfoundation.org/class-schedule/. 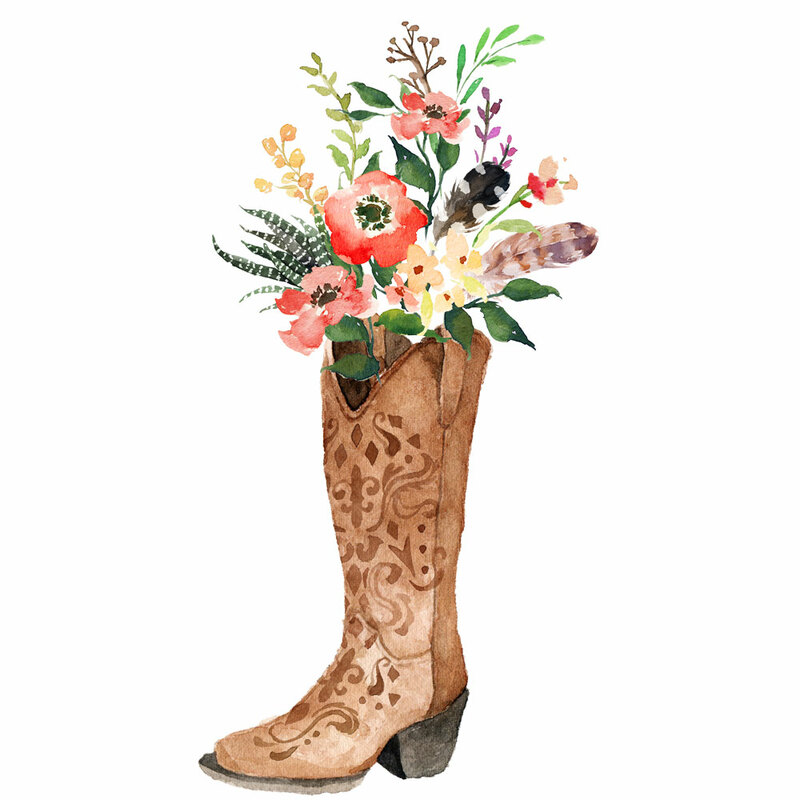 VEMAYOGA was developed by Liz Thompson, Maureen Shortt, and Thom Shortt of Meghan’s Foundation specifically to address the unique needs of veterans and military personnel. Liz served in the U.S. Marine Corps for eight years and discovered the benefits of yoga ten years ago. Liz earned her 200-hour yoga teaching certification in Boston, MA, and embarked on her journey of bringing the benefits of yoga to other veterans. Maureen has over 20 years of wellness experience with a B.A. in Education and a Master’s in Nutrition Counseling. She is a Fellow of the American Institute of Stress, and a certified yoga and meditation teacher. Thom is a U.S. Marine and Vietnam Veteran and has a Bachelor’s in Organizational Behavior and a Master’s in Management. Meghan’s Cousin Runs Half Marathon to Benefit the Foundation. previous post: Our 1st Annual Poker Run is Right Around the Corner! next post: Holiday VEMA Challenge Announced!